The strong field experience of Createch's experts, combined with their in-depth knowledge of best business practices, facilitated the achievement of Énergir's initial objectives. Our team appreciated the practical and concrete nature of the consultants' approach to finding lasting solutions. They have been able to adapt to the needs of our company. Since then, we have repeated the experience in the context of new mandates. 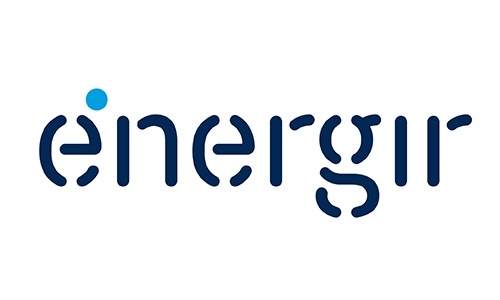 With more than $ 7 billion in assets, Énergir is a diversified energy company focused on meeting the energy needs of its more than 520,000 customers and communities it serves in an increasingly sustainable way. As Quebec's largest natural gas distribution company, Énergir also produces electricity from wind power through its subsidiaries. In the United States, through subsidiaries, the company is present in nearly fifteen states where it produces electricity from hydraulic, wind power and solar sources. It is the main distributor of electricity and the only natural gas distributor in the state of Vermont. Énergir values energy efficiency, invests and is involved in innovative energy projects, such as renewable natural gas and liquefied and compressed natural gas. Through its subsidiaries, it also offers a variety of energy services. Énergir wants to become the partner of choice and appreciated by all those who aspire to a better energy future. Énergir wanted to have greater control over the operating costs of the distribution center, while maintaining a high quality of service towards the internal customers, such as the assemblers, and by ensuring the security of its stock distribution network. The company wanted to redefine the operating conditions of its distribution center, including expansion. Createch supported Énergir in the validation of the expansion plan, as well as in the positioning of products according to their frequency of use. In general, travel times and order preparation are reduced and the risk of injury is minimized. In addition, the support of Createch consultants to Énergir's team was a factor of success.